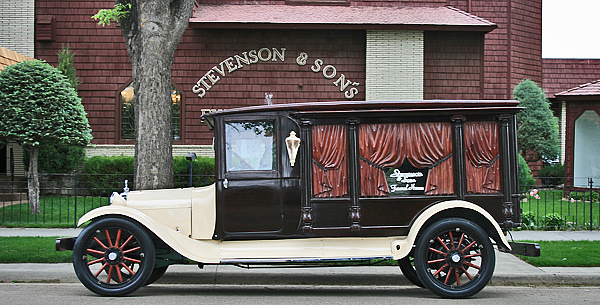 To further fulfill your needs, Stevenson & Sons Funeral Homes offers families the use of our funeral procession vehicles, which are shown below. Our 2 horse-hitch hearse with glass-walled hearse carriage. Our white conventional Cadillac hearse.